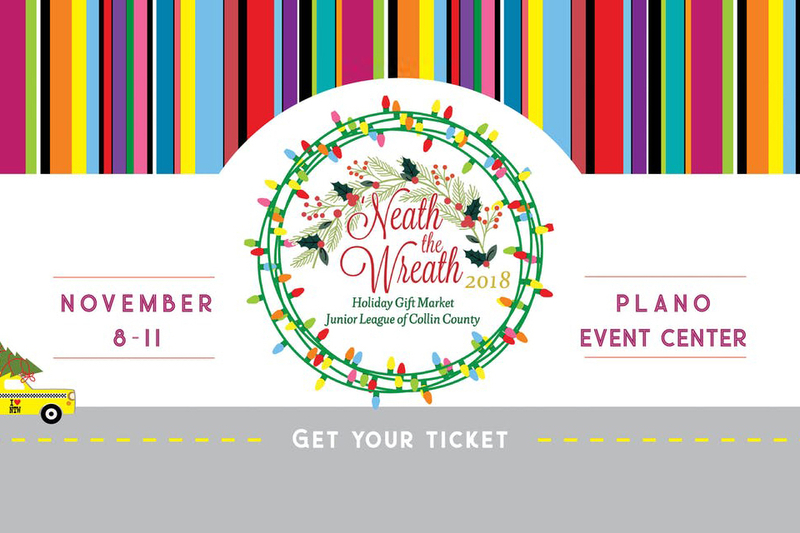 Ebby Halliday Realtors is a sponsor of the Junior League of Collin County’s 23rd-Annual ’Neath the Wreath Holiday Gift Market, which takes place November 8-11 at The Plano Event Center, 2000 E. Spring Creek Parkway. The market features the best in unique holiday and home décor, ladies clothing, accessories, gifts, jewelry, children’s items and gourmet food from over 100 carefully selected merchants. ’Neath the Wreath provides critical funding for the Junior League of Collin County, a nonprofit organization of women committed to promoting volunteerism, developing the potential of women, and improving the community through the effective action and leadership of trained volunteers. Advance tickets to ’Neath the Wreath are $12 at area Tom Thumb stores. Tickets are $15 online and at the door. For more information and to purchase tickets, visit neaththewreath.org.